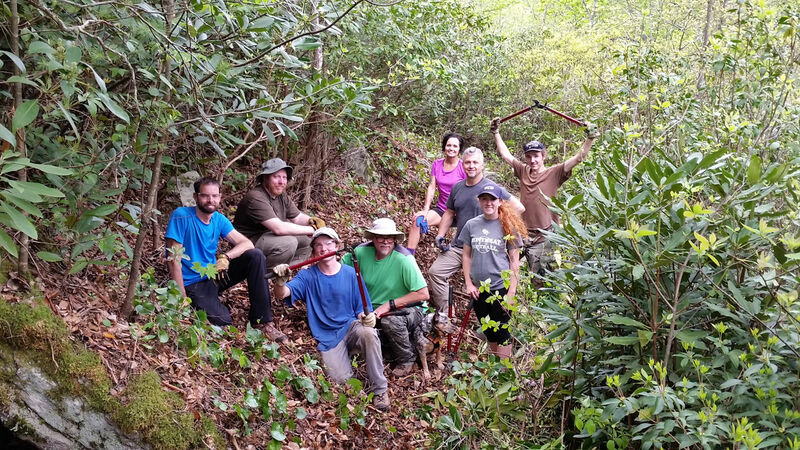 Wild South is supporting community volunteers as they restore the neglected and overgrown Linville Gorge Trail in the heart of Linville Gorge Wilderness, NC. 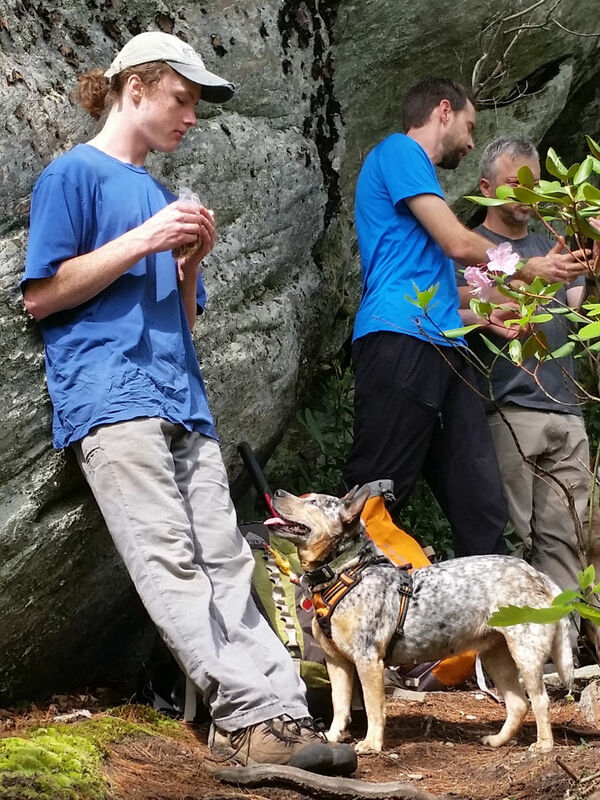 After the long hike to the work site, Pokey thinks Jon owes him a snack. 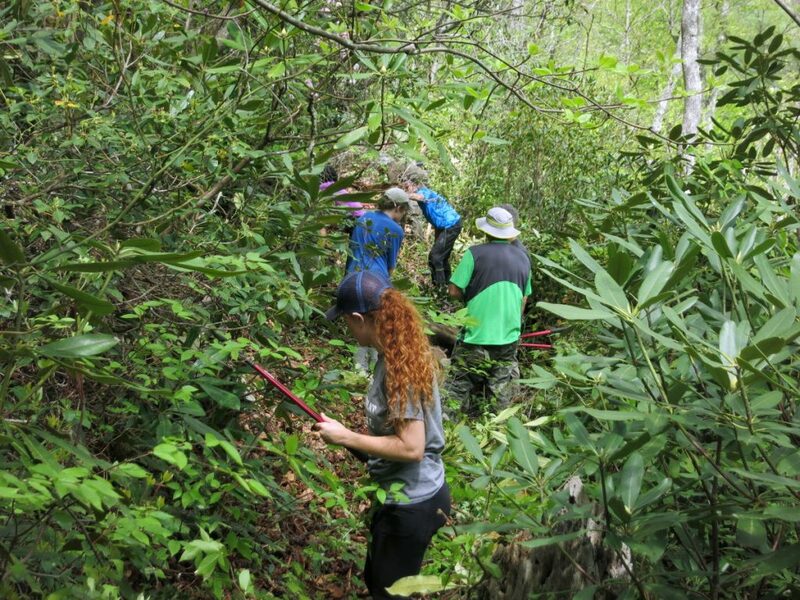 Recovering a trail swallowed by rhododendron jungle. 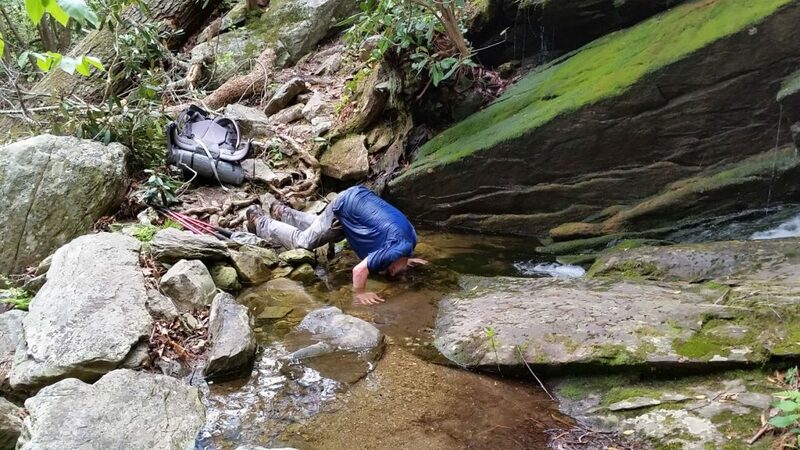 One way to cool off on a hot afternoon! Quitting time! 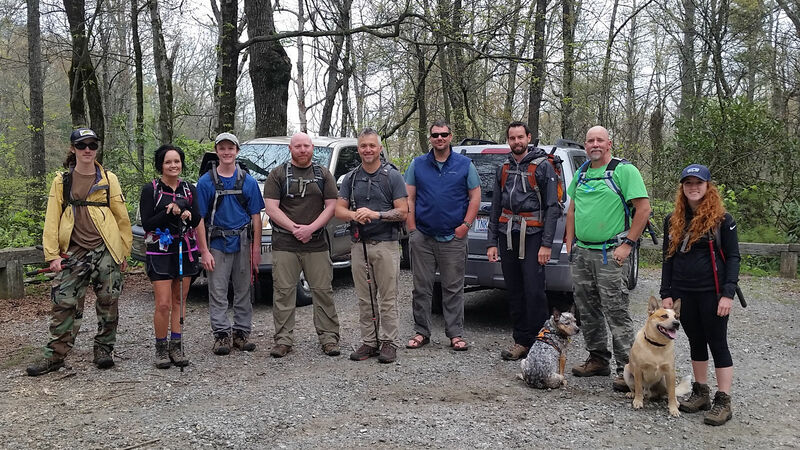 650 feet of trail recovered! The hike out. 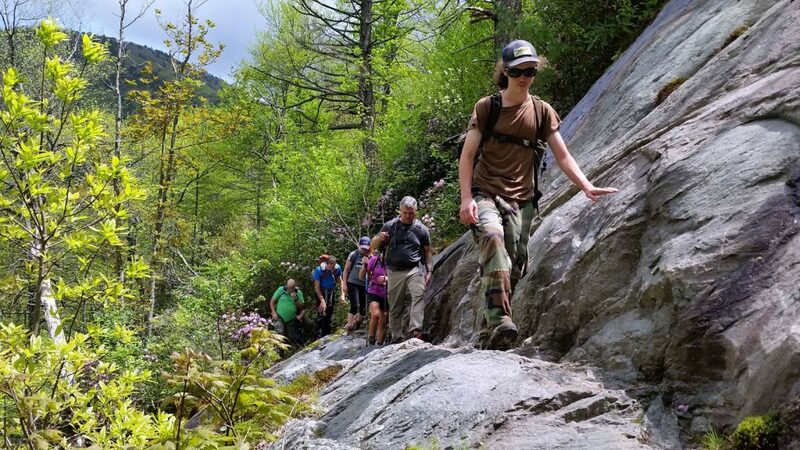 This riverside trail is one of the most beautiful areas of Linville Gorge. Bonus prize! 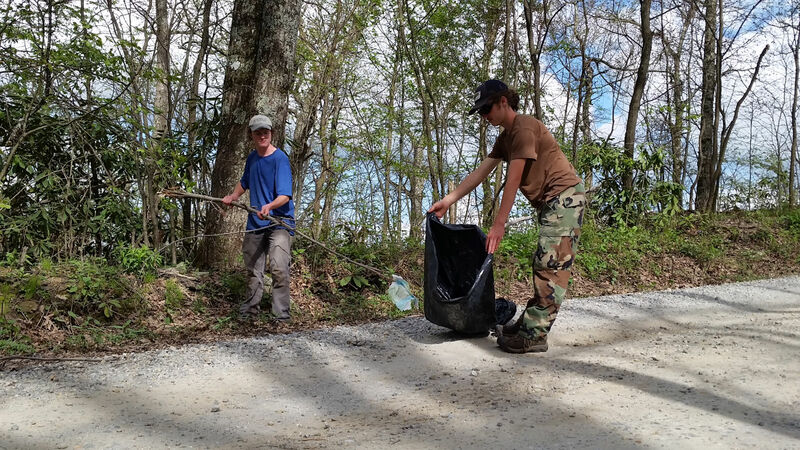 Volunteers gingerly bag a dirty diaper squashed flat on the road by the trailhead. Because of folks like this Linville Gorge Wilderness is clean and beautiful despite its many visitors.